peek >> << backNorthwest corner of 2nd and Canal, August 2003. 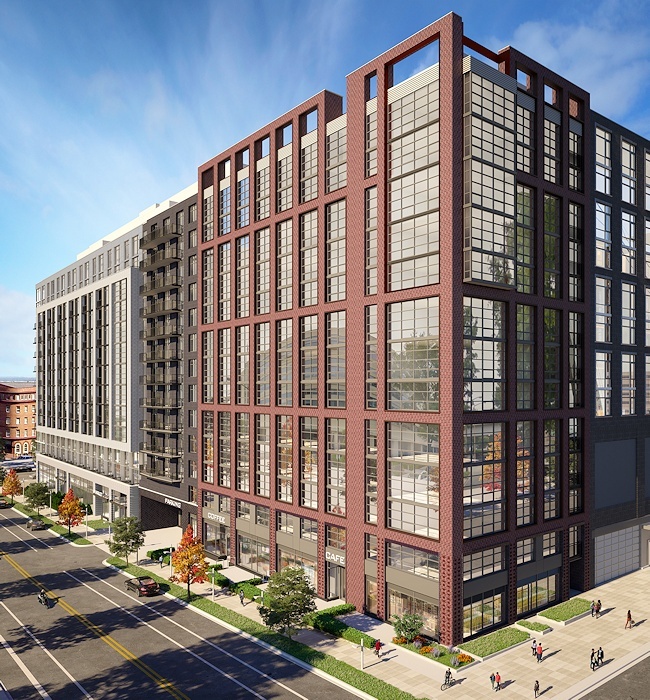 Planned 375-unit apartment building with 13,000 sq ft. retail, numerous amenities as part of three-building project known as "The Collective"
JDLand News Items: The Garrett. Two views of the Garrett, first looking north along 2nd Street from I and the second looking back south along 2nd from H. There will be 375 rental units and more than 13,000 square feet of ground-floor retail, as well as shared work space, a rooftop fitness club, and basketball, tennis, and racquetball courts. Residents will also have access to all the other amenities next door at Agora and Park Chelsea, as part of "the Collective." March 17, 2019 - The early spring version of the Garrett, on the day its crane was being dismantled. 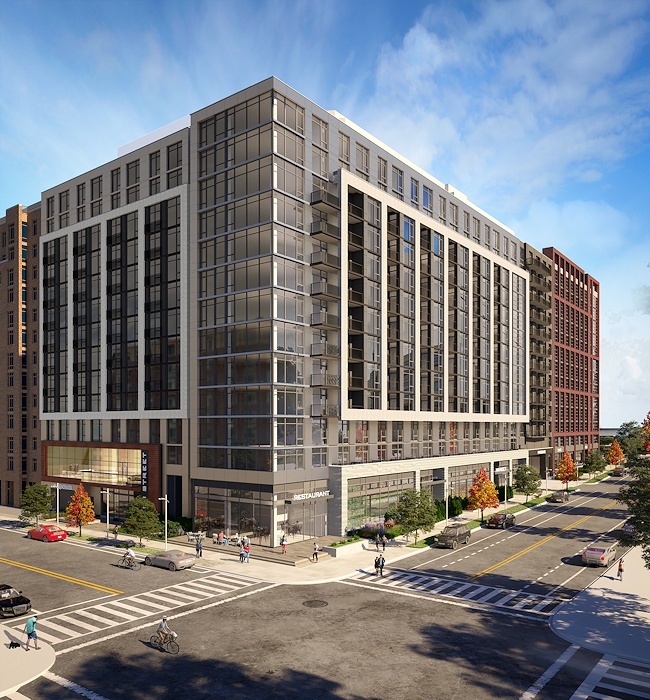 March 17, 2019 - And, finally, with the work on Virginia Avenue finished, a view of the Garrett's eastern side as seen from H Street, similar to the rendering at top right. The northwest corner of 2nd and I, where the Garrett is now above ground. Jan. 22, 2018 - When on a nearby roof, photos into excavation holes cannot be passed up. Aug. 21, 2003 - Looking south down 2nd Street from H Street in August 2003, similar to the second rendering above. 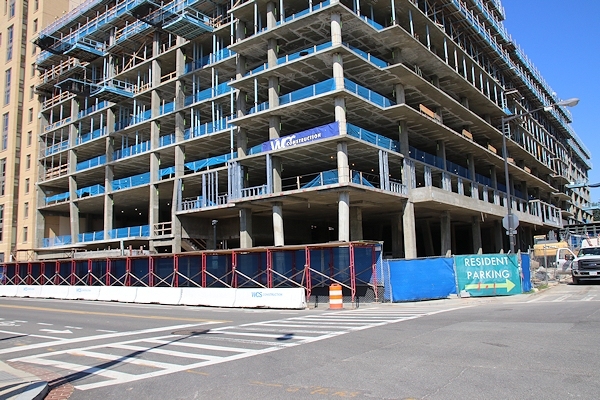 March 17, 2019 - A slightly different angle of the same location, as construction on the Park Chelsea and Agora was continuing. 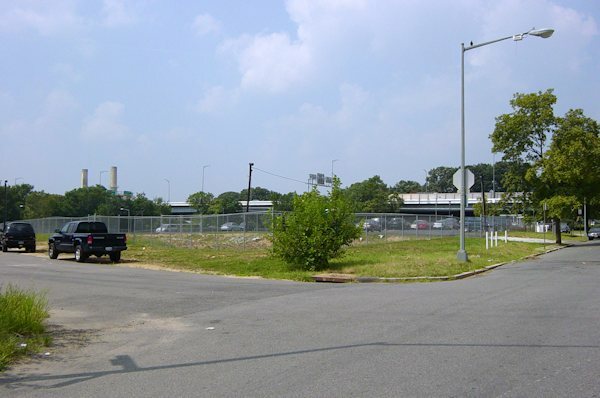 Feb. 3, 2007 - The northwest corner of 2nd and I Streets, back before I Street was constructed between here and New Jersey. The street at left is the old Canal Street. March 23, 2019 - The same location, with the Park Chelsea and Agora looming, and the Garrett footprint cleared.